Doctor Who: The Clarke Of The Rani? | Warped Factor - Words in the Key of Geek. 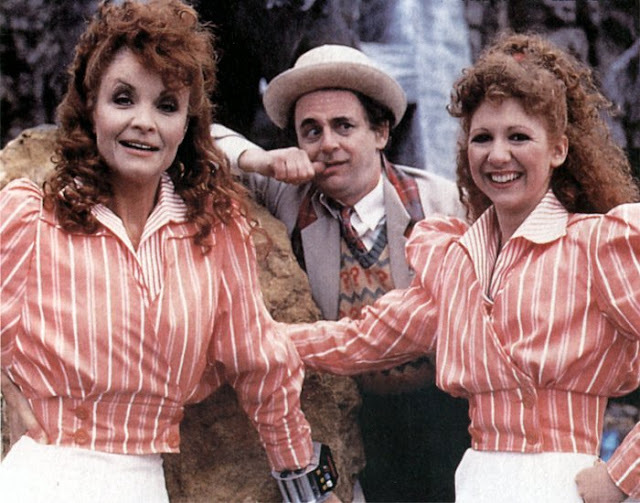 Doctor Who: The Clarke Of The Rani? Grandiose schemes of ruling the universe will mean nothing if that dilettante Chris Morley is still at large! First played by Kate O'Mara, we were introduced to the Rani as she left her mark on the miners of Killingworth during the Industrial Revolution. 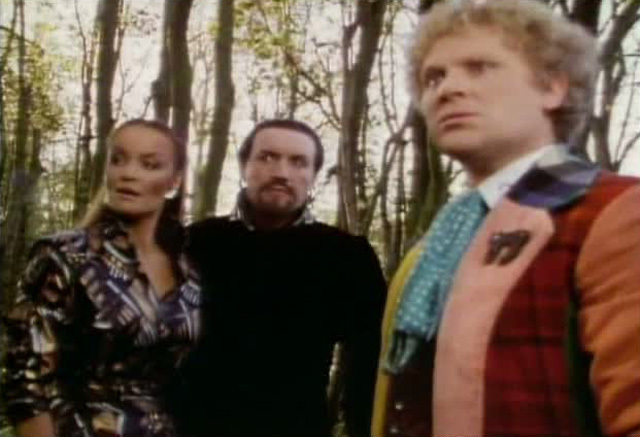 Her first appearance came as part of only the third full story for Colin Baker as the Sixth Doctor, the spacefaring Mr Tumble of sorts putting paid to her attempt to set right the disastrous results of a previous experiment on Miasimia Goria as part of a precarious alliance with the Master. Retrospectively she then meets the Doctor again during Something Borrowed while investigating the phasing process - remarkably similar to regeneration minus of course anything like the gloriously naff original transition from Baker to Sylvester McCoy, which was put right in Big Finish's The Last Adventure having also been touched on in Gary Russell's Past Doctor Adventure novel Spiral Scratch. Following the change it doesn't take long for them to get reacquainted - McCoy's first full story being Time And The Rani as she takes advantage of a little post-regenerative confusion on the Doctor's part by pretending to be Melanie Bush & getting him to help her, in a roundabout manner .....before he regains his faculties & rumbles her again. DOCTOR: Why I chose you as an assistant, I'll never know. Perhaps I will when I've regained my memory. RANI: Well, what is it you want? DOCTOR: Well, look at me. Can't you see? Mop my brow! DOCTOR: What'd you do that for? RANI: It was your fault. DOCTOR: A bad workman always blames his fools. RANI: Tools! Blames his tools! DOCTOR: Do I detect a hint of bad temper, Mel? Why are you behaving so uppity? Could it be that you think yourself superior to me? RANI: Now how could I possibly think that, Doctor? A similar plot could be a decent enough way to introduce her to a whole new audience, of course - hiding in plain sight! Which was sort of what Steven Moffatt had intended to do during Michelle Gomez's big reveal as the new female incarnation of the man the Rani had tolerated thanks to a bit of blackmail during her own maiden outing, to the extent that he originally wanted people to think that she was the woman formerly known as Ushas! 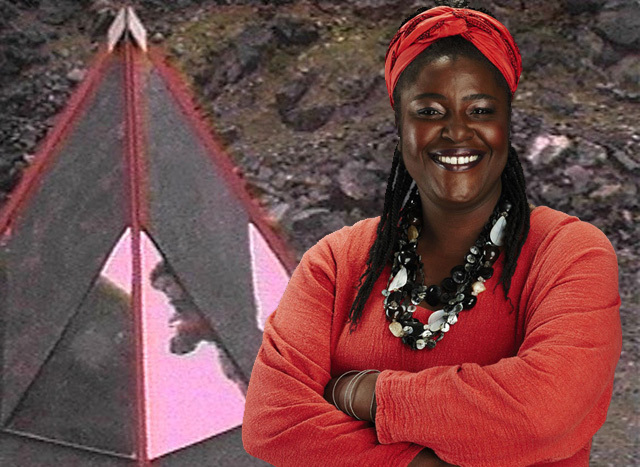 Prior to a line passing herself off as a Mobile Intelligence Systems Interface, which was the broadcast lead-up to her admitting she couldn't call herself by her old name any longer, Chibnall's predecessor had a little fun. But that wasn't her only potential return. As far back as Russell T Davies' time running things, the then captain of the good ship Who had his own preferred candidate to play her - Ruthie Henshall getting his vote. Speaking of ships, surely the chance of a modern update for the Rani's own original TARDIS interior/exterior, a wonderfully inventive design in its own right would be yet another bonus should Clarke take on the mantle? Not to mention a challenge for the behind the scenes crew given some of its features & indeed occupants. Whether we'd ever get to see what became of the rapidly growing baby Tyrannosaurus after its embryo jar smashed could be a moot point. 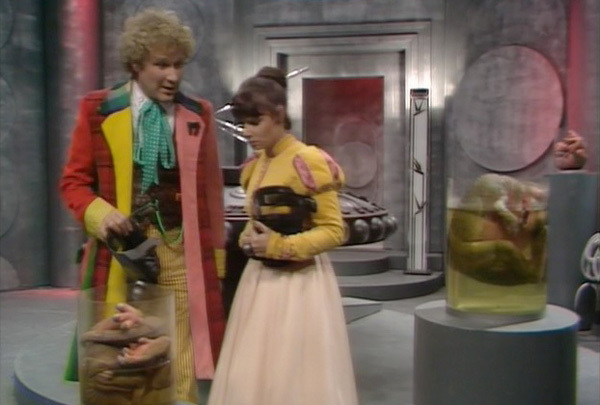 We, though, say that if the Doctor can have a metal dog, why can she not take care of a huge rampaging carnivore? Perhaps her efforts to escape the responsibility of ownership of such a pet lead to her eventual recurring return in the first place? 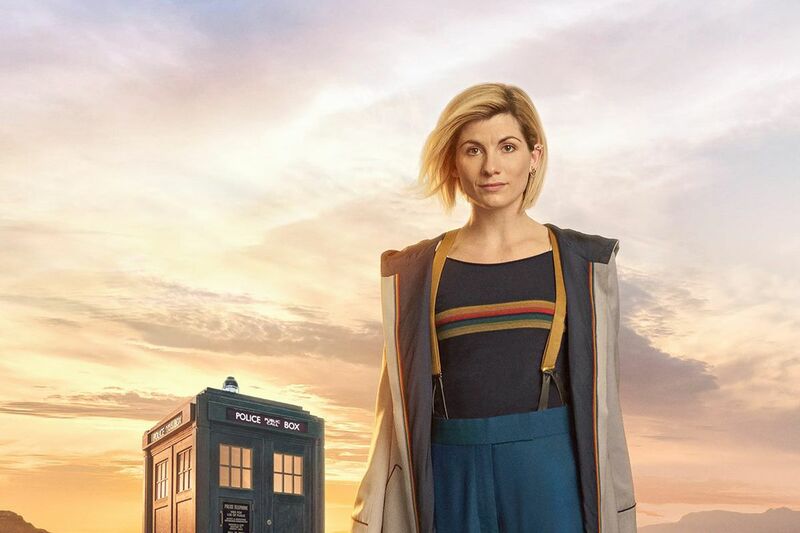 If Chibnall decides not to go down too similar a path to what's gone before & have her pose as a potential recurring companion prior to the revelation of her true self, he could of course look even further back to a time before even K-9 when the Doctor preferred a sturdy car & got himself a weekly meeting with his intellectual equal yet opposite - Jon Pertwee & Roger Delgado perhaps serving as an ideal model for the battles to come between Whittaker & Clarke. Remember also how the Third Doctor was warned old beardie was coming to Earth? Neil Gaiman's The Doctor's Wife offers a potentially game-changing spin given the change of gender for the man who had then sported a cape & frilly shirt - the woman he's about to become appearing to have taken a little advice from three selves down the line with that top. Enter the Corsair. Whether we hear a voice or see a mental projection of him/her appearing before the newest of the Doctors as a memory of sorts, the one who started the gender debate in the first place being in actuality presumably long dead going by that falsified hypercube during or just after the regenerative sequence, or even to the outgoing one in the seconds before the change happens, reassuring him that his future is indeed in good hands, such a flash of the recent past could work in much the same way as the shock twist that old Professor Yana wasn't quite who he thought he was after all as delivered by the Face of Boe. "Leave the girl. It's the man I want." Though perhaps the new man helming things will have some fun of his own. 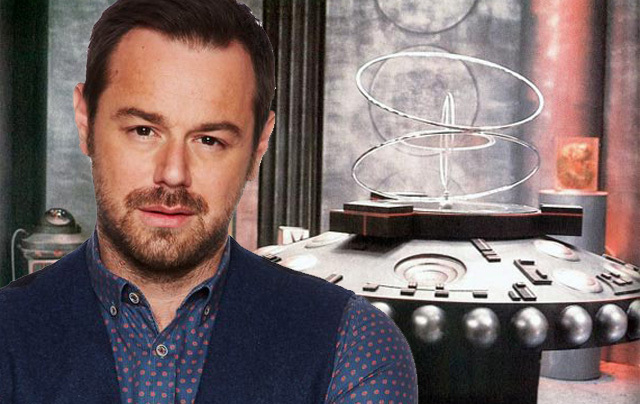 Perhaps the new Rani will be a bloke & we'll end up with Rani Dyer, roaming time & space looking for a proper naughty tear-up, as he puts it. Stranger things have happened, & he has said he wants a part!